Monocle. 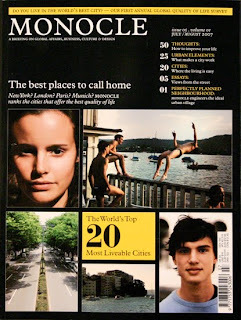 What a perfect magazine should be. Enlightening, informing, enticing. 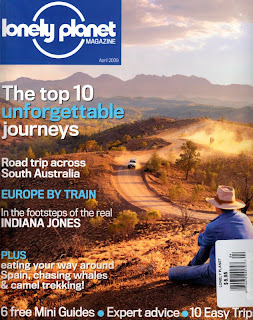 Lonely Planet Magazine. Very hard to find here but I savored each page in it. Tropic of Capricorn on BBC Knowledge Channel. Mostly because Africa mystifies me. 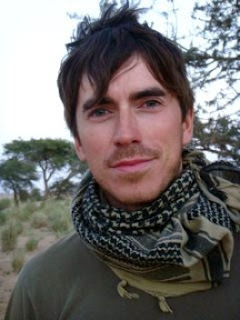 Partly because of Simon Reeve's boyishly handsome charm and come on, the man "... has survived malaria, played polo with the corpse of a headless goat, swum with sea-lions, fished for piranhas, climbed the equivalent of half-way Everest while surviving on coca leaves, travelled around the planet by van, canoe, car, train, boat, horseback, helicopter, plane, a 50-metre-long $1m truck, and used a zip-line to get inside one of the most repressive states in the world." What's not to adore? Calamari. It's like a five weeks pregnant calamari craving. Strange. Pondok Pekak Library & Learning Center, Ubud. Lowest prices for second hand books and their library collection is just amazing.